Supreme Court JCA 2017 Result - Supreme court of India has declared Result for Junior Assistant , check here merit list, Marks, Rank list. Supreme Court of india has declared the result of Supreme Court Junior Court Assistant exam held in 2017. 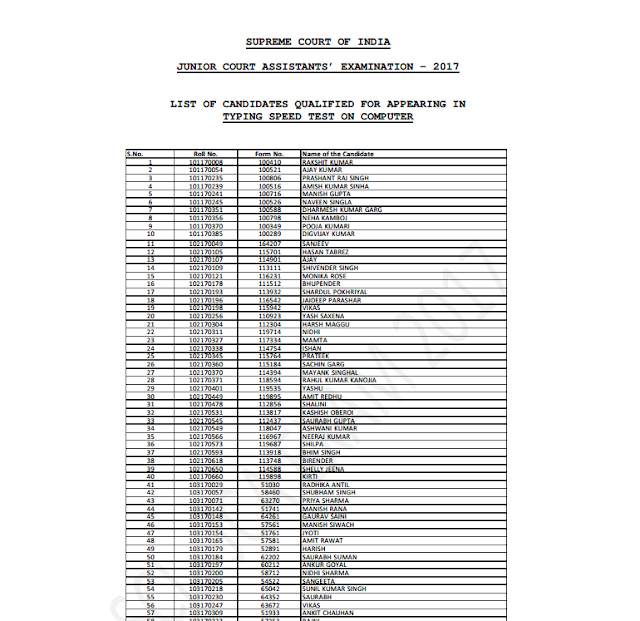 The JCA official result is available online at Supreme court official website and candidates can view their Supreme Court JCA Written Test Result 2017 by providing details like Roll number, Name of the post, Question Booklet Series and Date of Birth. The Supreme Court JCA Result 2017 PDF 2017 can be found on the official website.